I attended the University of Houston and majored in accounting. I was drawn to Mortar because I am interested in business law, I liked the idea of working with entrepreneurs, and seeing a business grow from the ground up. 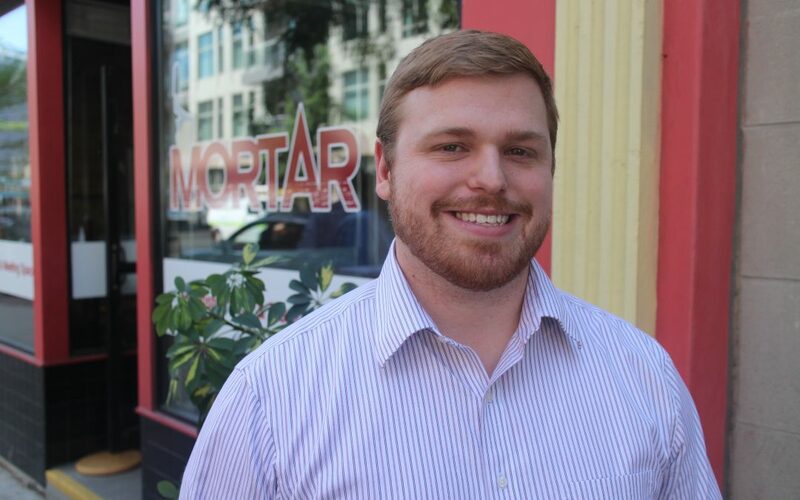 Since I am new to Cincinnati I also thought working at Mortar would help me become better integrated in the city. I’m looking forward to learning about my clients and their businesses and helping them overcome obstacles. I love the idea. I have long believed that the best way to build up communities and the people in them is to help them help themselves. To me, this means teaching people the skills they need to become self-sufficient and providing access to the resources and knowledge necessary to do so. I believe that people and communities thrive when they are active and industrious. I think Mortar’s mission to help entrepreneurs to participate in the economic growth of their own communities is one of the best ways to build up a community. I am excited to be a part of an organization that is accomplishing great things and hope to make a valuable contribution.